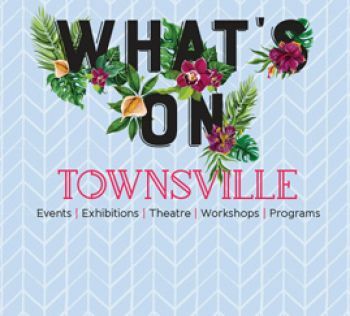 Information for Townsville residents about community support available on a range of topics including disaster and community safety, animals, our Together Townsville & Grants programs, arts and culture, awards, health & exercise, ATSI, seniors, families, disabilities, women, teachers and young people. Townsville is a vibrant community and council provides information and guides to assist in the safety of our community. Community awareness about responsible pet ownership and legislation that governs the keeping of animals. The Townsville City Grants & Partnerships program is now OPEN to Community Organisations. The new program is simpler, faster and better with a focus on developing, supporting and building our community. Council provides a range of services and information to help strengthen the capacity of the Townsville community, particularly vulnerable groups. Townsville has a vibrant arts and culture community and we recognise the significant role they play within the Townsville region. The Community Information Centre Townsville Inc (CIC) is a not-for-profit community organisation funded primarily by Council. We provide a range of programs, initiatives and activities to assist residents to enjoy an active and healthy lifestyle. Together Townsville is a partnership program allowing promotion of mutually beneficial collaborations between businesses and the community. The Mayor's Christmas Tree Appeal has assisted local people with local donations for over 20 years.